That question comes up about once a week; but always about different models. This thread is meant to serve as a place for those foolish kind souls who decide to answer in detail with a photograph to post their work. 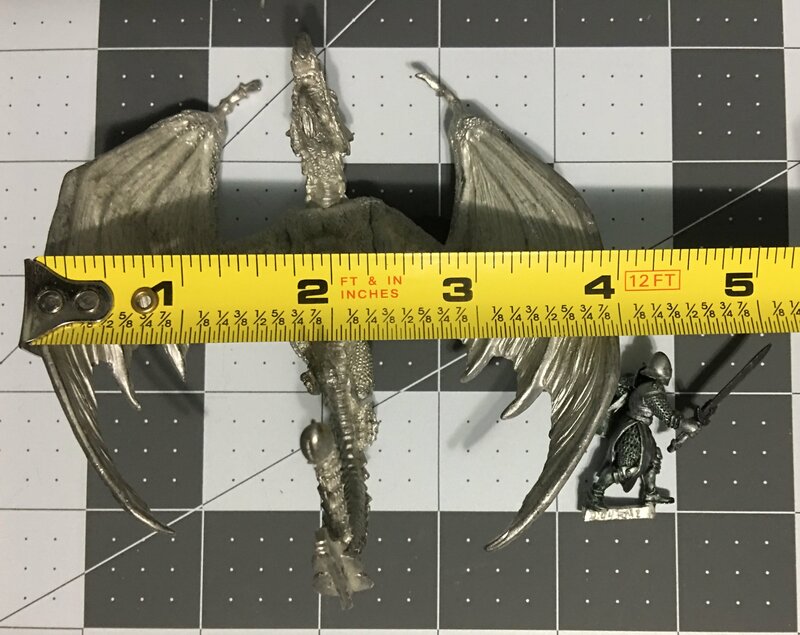 “...Posed﻿ in front of an inch or centimeter grid, and / or with a rul﻿er laid out in front of, above, or behind them, and / or﻿ next to other Miniatures for comparison...” Comparison﻿ pic﻿s are the most useful because the numerical height of a model doesn't always tell you how bulky it is, or how exaggerated the features might be. Common objects like paint dropper bottles, figure bases, and specific Miniatures like Sir Forscale (76543) can acquaint the viewer with size of a new Mini, especially while s﻿tanding on﻿ a gr﻿id﻿.﻿ The﻿﻿ best comparison shots are like polic﻿e line-ups: several miniatures side-by-side in front of an easily-read scale. @Pingo @redambrosia and @lowlylowlycook contributed most of the wording in the preceding paragraph (which I edited a bit). All shots in this series are against a one inch grid made by Fiskars®. Sir Forscale (in metal) included for comparison. Wingspan check. Sir Forscale has kindly pointed his sword the other way. Standing nose-to-nose with a tape measure. Also included are: a US quarter, three 25mm round figure bases (one empty, one with a Reaper Ice Toad , one with a Chaos conversion), and Kagunk The Ogre  on a 50mm square base. Welcome﻿ to Getting to Know You, December 2018 Edition. 2. In theory there is a 24 hour span to answer that question before the next question is ﻿posted. 6. If a question is TMI or N/A simply wait for the next question.. ..or post that you decline to an﻿﻿s﻿wer (clues regarding why can be fun...unless TMI). 7. Weekend questions will usually take the f﻿orm of two or three day quests, starting on Friday or Saturday. December will begin ^ with such a question because the month begins on a Saturday. Check out HW Car with ^ gun included..! Has Mattel® heard of what you guys are doing with their cars? If there is a thread I need to add to the list above, somebody drop me a line. - WIP necromancer and ghouls I'd started scratchbuilding before they got shelved. Looking forward to getting back into those. - and I believe this was a Warhammer Chaos figure that I had added tentacles to an painted about a decade ago. Which Dragon's are the largest? 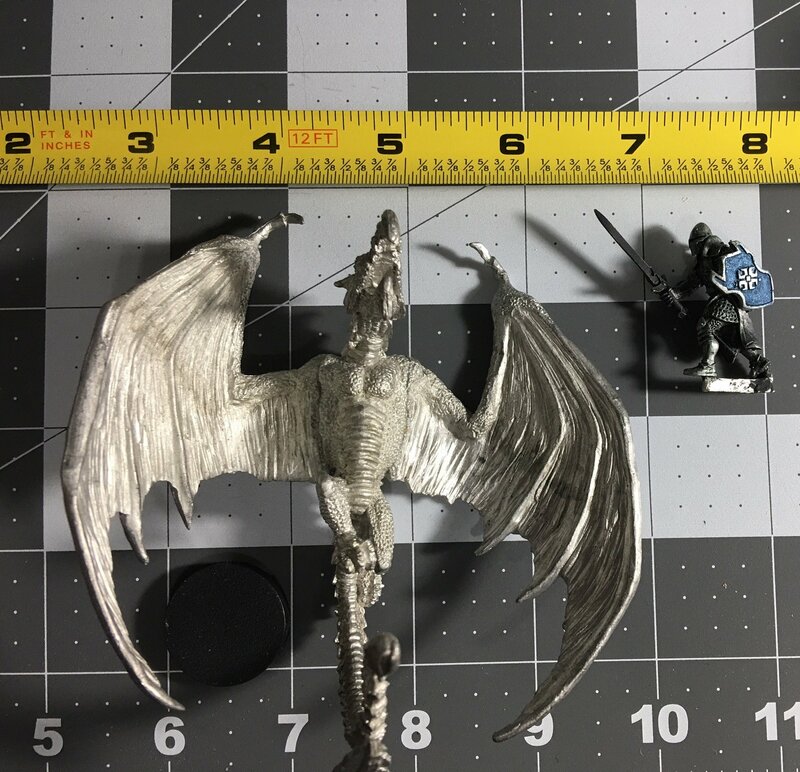 I just got a pathfinder red dragon, and while it is really cool, I need to get something bigger. How large is the " Dragon's don't share" dragon in comparison? I like the clockwork, skeletal, and multi-headed (which is clearly the largest) but I would like to start with a more standard dragon. 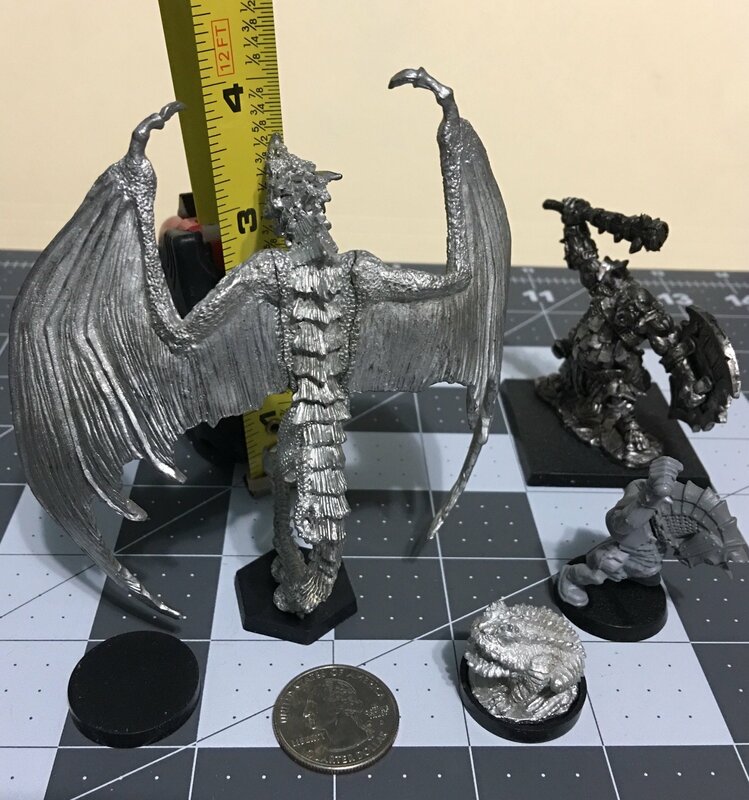 So which of the regular dragons will cast the largest shadow at my game table?